These Lion House Rolls are the perfect dinner rolls! 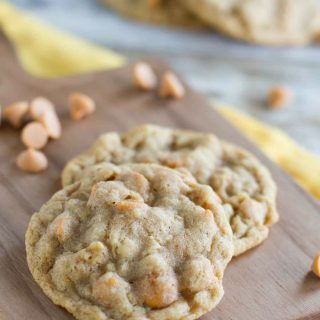 The recipe is a favorite from the Lion House Pantry in Salt Lake City, Utah for a reason – they are soft and buttery and perfect. Years ago, I went to a local cooking class. One of the chefs there was from a restaurant called The Lion House Pantry. He showed us many recipes, but the one I was interested in the most was the recipe for these Lion House Rolls. These dinner rolls are famous here in Utah. Today, you can find them being sold by the thousands around all of the major food holidays. And I’m pretty sure they are pretty easy to come by any other time of the year, as well. But to be able to make them at home? Count me in!! You will always recognize these dinner rolls from the way that they are shaped. But the shape is not what makes them so special. 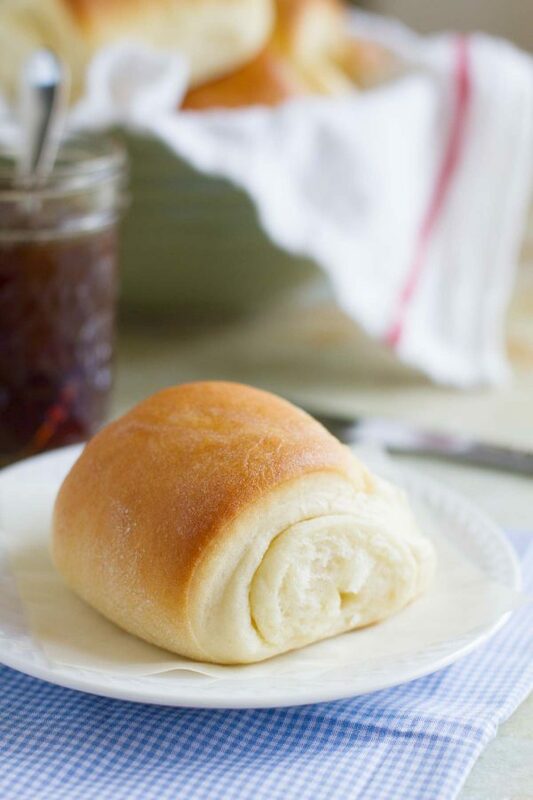 These Lion House Rolls are soft and buttery and the absolute perfect holiday roll. Or the perfect Sunday night dinner roll. I have made them dozens of times through the years since I first made these in 2009. 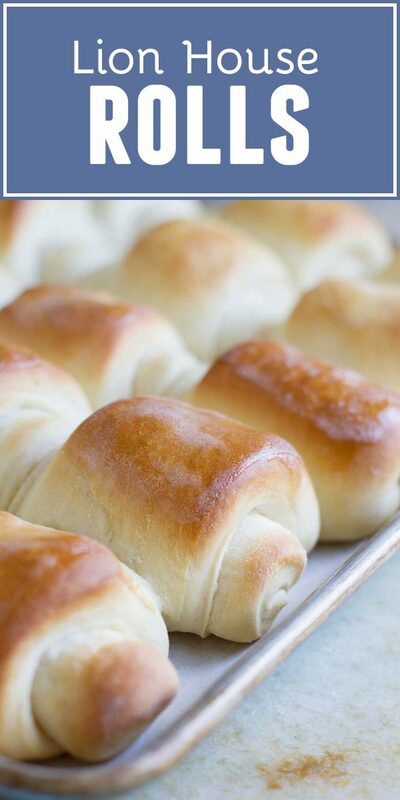 They are always my first go-to when I am taking rolls for a holiday dinner. In fact, I don’t think a holiday would be complete without them, now! Water – make sure it is warm, but not too hot to kill your yeast. Instant Dry Milk – This comes in a box and is dried, granulated milk. You can usually find it in the baking aisle at the grocery store. Yeast – I use active dry yeast. Sugar – you’ll use a bit to activate the yeast, and then you’ll add the rest in. Butter – I wouldn’t suggest substituting margarine. Butter all the way! 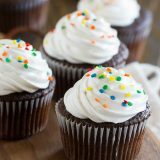 Flour – you can use all-purpose or bread flour. Both will work just fine! 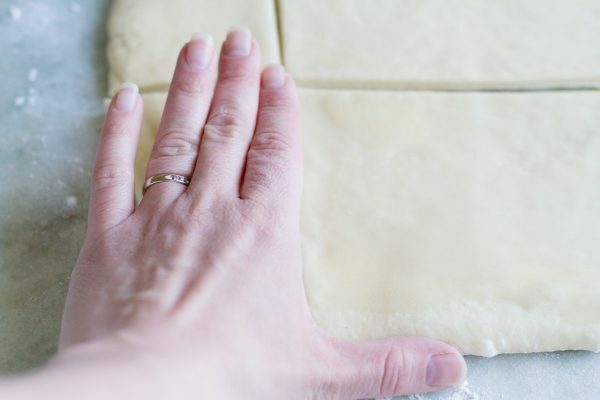 Roll the dough into an 11×14-inch rectangle. 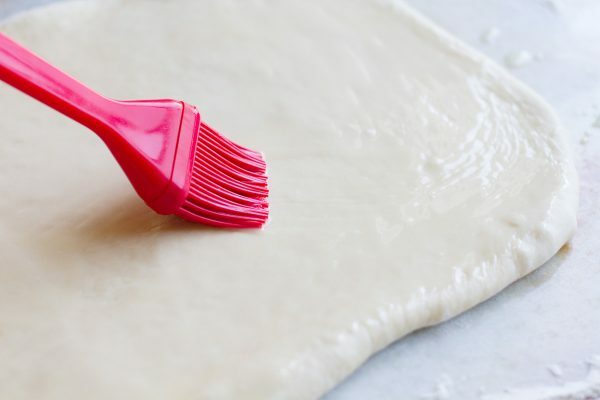 Brush the surface of the dough with melted butter. Cut the dough in half horizontally. Cut into 2×4 rectangles. You can use your hand as a guide for sizing. In the bowl of a stand mixer, combine the water and the milk powder and stir to dissolve the milk. Add in the yeast and a tablespoon or so of the sugar and allow the yeast to bloom for 5-10 minutes. Add in the remaining sugar, salt, butter, egg and 2 cups of the flour. Mix on low speed until all of the ingredients are wet, then mix on medium for 2 minutes. Stop the mixer and add 2 more cups of flour, mix on low until combined, then on medium for 2 minutes. The dough will be getting stiffer at this point. Continue adding flour, 1/2 cup at a time, until the dough is soft and tacky, but not sticky. Place the dough in a greased bowl and turn to coat. Cover with plastic wrap and allow to rise in a warm spot until doubled in size. Sprinkle a work surface lightly with flour. Divide the dough in half. 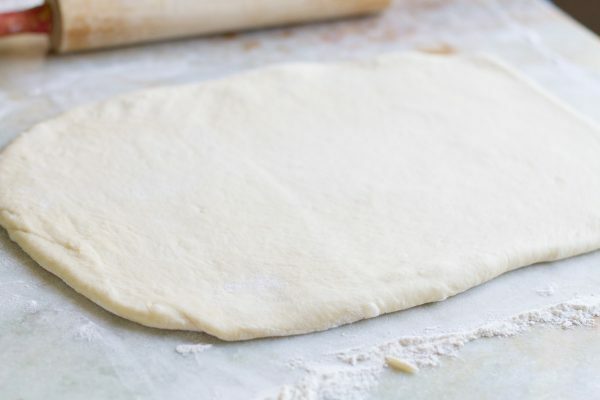 Roll out one half of the dough into an 11×14-inch rectangle. Brush the top of the dough with half of the melted butter. 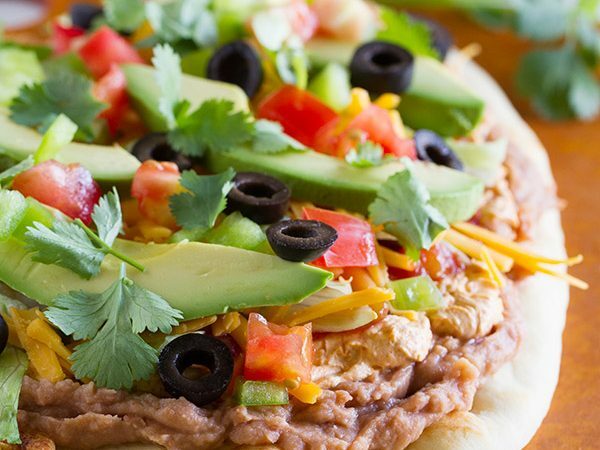 Using a pizza cutter, cut the dough in half horizontally right down the center. 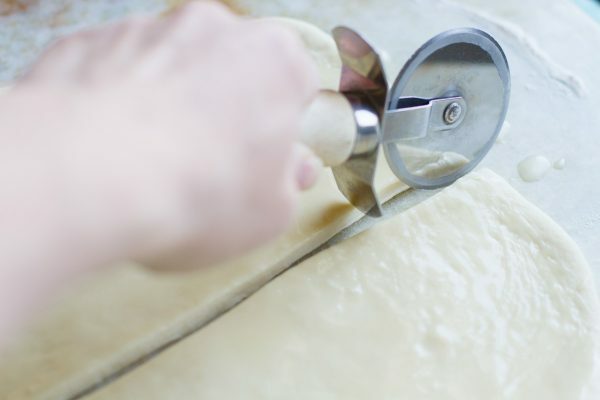 Slice the dough into rectangles about 2×4″ big. If you hold your hand out so that your hand forms an “L” shape, it can help to be your guide for sizing. Roll or flip the rectangles, buttered side in, and place on a greased baking pan with the end resting on the baking sheet. Repeat with the second half of the dough. Cover with a towel or plastic wrap and allow to rise until doubled. Preheat the oven to 375F. 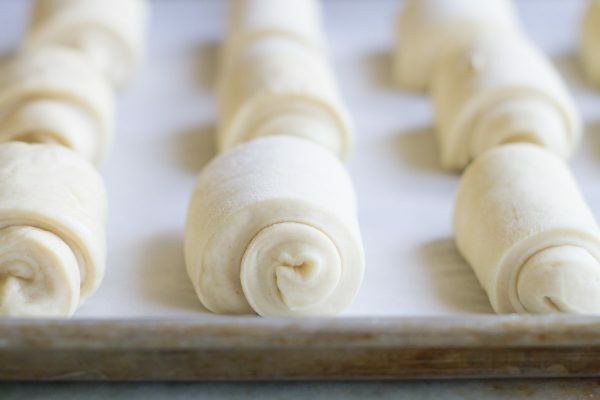 Uncover the rolls and bake until they are browned and cooked through, 15-20 minutes. 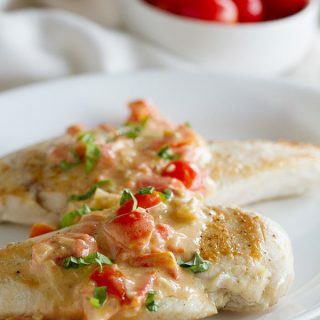 Brush with softened or melted butter while they are still hot. 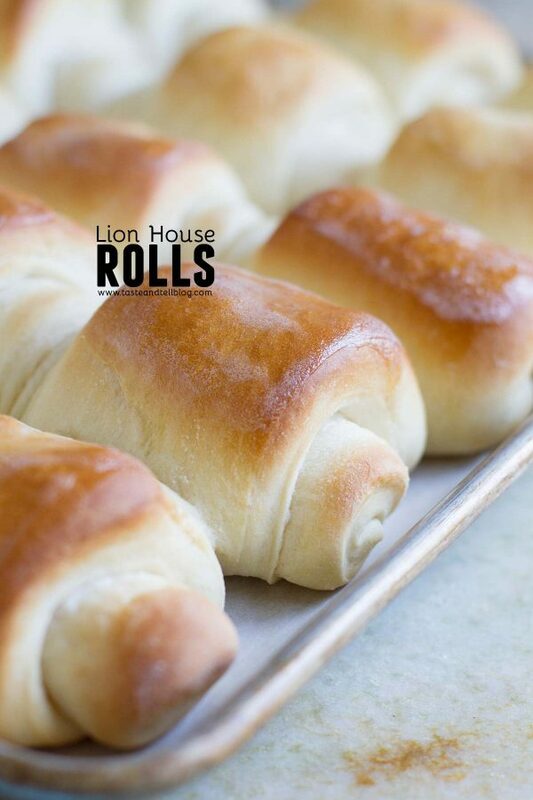 The Lion House Rolls look fabulous. I can’t wait to try them. They look perfect! A nice round out to Easter dinner! These rolls look incredibly fluffy! Wonderful! Like you I usually take the risk and just try a new recipe for an event without trying it. The rolls look wonderful. I cringe, every time my son begs me to make those croissant rolls in the tube. I’ll bet that these recipes are much better in ingredients and flavor. I’ve got to give these a whirl on the weekend. Love homemade rolls, you can always count on the Lion House recipe. They are so good. I want to try the sweet potato rolls!! Your rolls like perfect. I like to try out recipes ahead of time to make sure they are good before sharing them… sometimes I take a chance, but then will make something else to go w/it – just in case! You’re brave to try a new recipe for Thanksgiving. 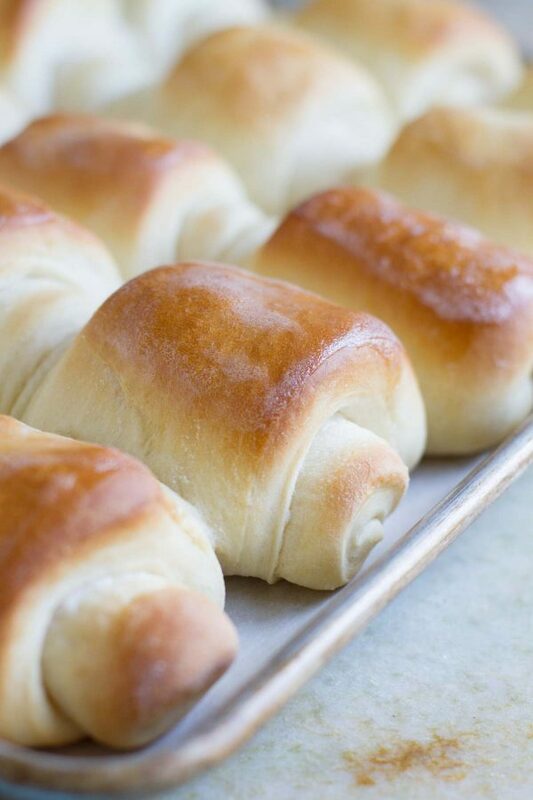 Your rolls look perfect. I think I’ll put them on the menu for Easter here. Those are some delicious looking rolls – there’s nothing better than homemade bread. You’re killing me with these rolls! I’m glad they turned out well, sure looks like it…oh my! Soo good, love the photo! Both of these rolls look delicious! And, hey, if they’re good enough for the Thanksgiving table, then they must be out-of-this-world good!! 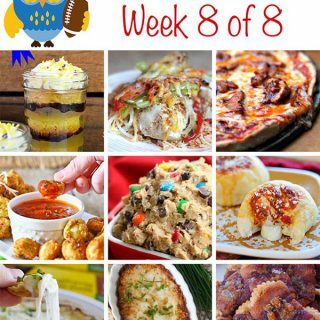 I love bread, and I can’t wait to try these recipes! I can always use a good roll recipe. Especially with easter right around the corner. 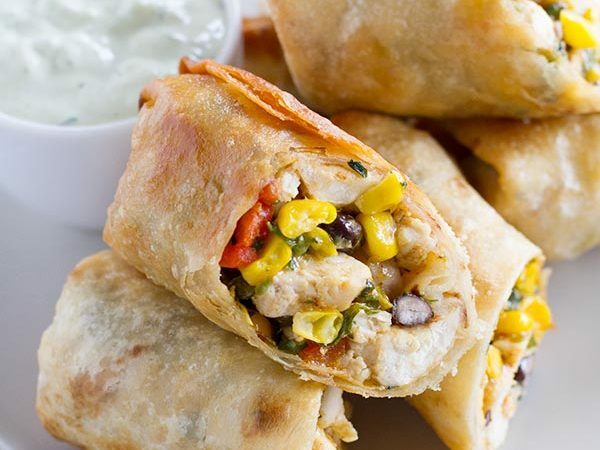 These rolls look great…I wish I could eat right now. I do the same thing – I’m always trying new recipes out on people, even crowds. Mmm what a delicious basket of bread! I usually try new recipes when taking things somewhere and then spend all afternoon/evening stressing out that whatever it is won’t be good! I love a good roll! I have The Lion House recipe book but have never tried there rolls. I MUST try them now! yours look so good. My favorite place to eat in Salt Lake City is the Lion House Pantry, I LOVE IT! Just wondering…..since 2/3 dry milk makes 2 C of milk, would I achieve same product just substituting 2 C of warm milk in the recipe? This is probably irrelevant for Amori, but for anyone else reading, I almost always make these with warm milk instead of the warm water+dry milk combo. It works every time! Anonymous – I actually have no idea! The recipe is the only way I've tried it. If you do try, let me know how it turns out. 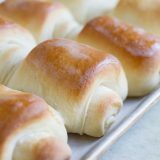 This is one of my favorite roll recipes! Yum! These rolls look incredible, wish I had a few straight from the oven! Hi can I make these in a bread machine? I don’t have a bread machine, so I’ve never tried them in one. Here is a bread machine version I found online that you could probably use – http://calamitouskitchen.blogspot.com/2010/04/lion-house-rolls-bread-machine-version.html. Mmm, I love rolls and these look great! WOW!!! i’ve just made them and they are incredible good en they look exactly like yours! thank you, thank you!!! Yay!! These are my favorite. So glad you love them, too! I just made this and they were perfect! We’ll have a pirate party tomorrow and this certainly is on the menu! Thanks for sharing! Yay – I’m so glad you loved them!! This is my favorite roll recipe. And what a fun party! Is it really 2 tablespoons of yeast? That seems like a lot. These rolls turned out great! They were really light and tasted amazing with jam (especially for morning tea). *I substituted 2 cups of milk (scalded then cooled) for the 2 cups of water/milk powder. I also doubled the sugar and ended up using only 4 ½ cups of flour. I’m so happy that you liked them! These are probably my favorite rolls, and now I’m craving one! Just attempted a trial run of these rolls since I plan to serve them for Thanksgiving dinner. They were delicious! The hardest part was figuring out the best size for the rolls. The rest of the recipe was very easy to follow. I will definitely be making these on Thursday and probably for many more special ocassions! 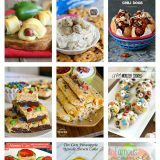 I saw this recipe some where else and it told how and when to freeze the dough. Do you have this infor? I would like to make them ahead of time and bake them the day I need them. I just got a Kitchenaide mixer for Christmas. I made homemade bread last weekend for the first time. This weekend, I plan to tackle these rolls with my 13 year old daughter. I can’t wait! I did it! Thanks for the recipe. They are incredible. Is it possible to use milk instead of dry milk? I’m sure you could substitute, but you’d have to adjust the liquids, and I’m not exactly sure what those adjustments would be. My guess is that you could use warm milk instead of the water, but I have not tested it yet. Let me know if you try! My kids absolutely LOVED these! I made half regular and half with shredded cheddar cheese and then rolled up. I feel great about giving them these vs. anything store bought. Thank you!! Oooh, I love the idea of adding cheese!! So glad they were a hit! For any vegans looking at this recipe, I subbed coconut milk powder and a flax “egg” with fantastic results. I’ve made these before with great success, but Ill be baking them for Thanksgiving out of state where they won’t have a standing mixer. 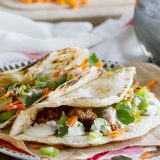 Will this recipe still work without one? 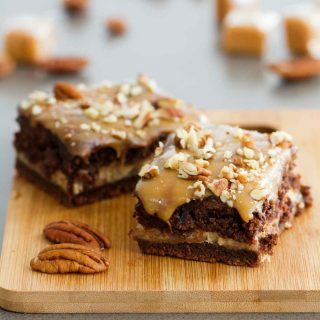 I couldn’t believe how good these were and that I made them! I am going to try this recipe to make 2 loaves of bread. Has anyone done this and what were the results? I don’t have a stand mixer. How else can I make them? Can I use a food processor? You can definitely just make these by hand! It should take about 1 hour to 1 1/2 hours, depending on the temperature of your house.